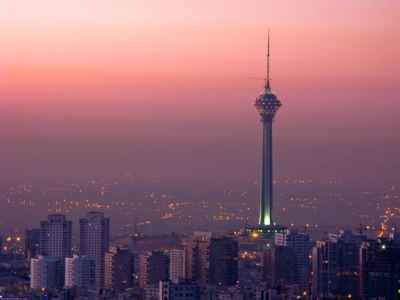 Tehran is the biggest city of Iran and it is the capital of this country. 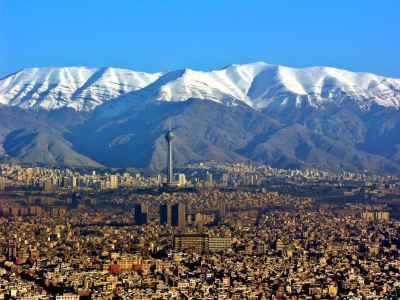 Tehran is the 25th overpopulated city in the world that from the north leads to the mountainous areas and from the south leads to desert area, so the climate of the city is different from its north parts. North of the city has cool and dry weather and south of it has hot and dry weather. The structure of the city is a great combination of tradition and modernity. Tehran is an old authentic city that was called " Rey city" in the past. Rey city is now located in the south of Tehran. Tehran has old monuments, splendid mosques, magnificent buildings, great parks and also modern buildings. 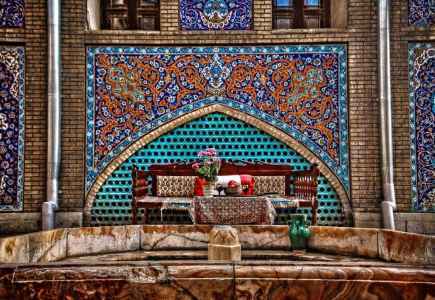 Although Tehran is not known as a historical city, it has a lot of attractions that are worth seeing. Where to stay in Tehran? You should not be worried about the place to stay in Tehran, because this city has many hotels. 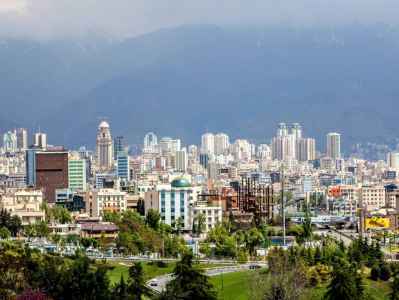 Homa, Esteghlal, Persian Azadi and Espinas are the most famous and expensive hotels in Tehran. Shahr,Marlik, Parsa,and Olympic are affordable hotels. If you want to stay in a cheap hotel, Mina,Apadana and Bolour can be good choices for you. The only First Class Hotel Accommodations in Tehran 20 minutes from the airport. In spite of other cities of Iran, Tehran doesn't have any special local food. Different kinds of foods are common in Tehran that you can eat them in famous restaurants of the city like Nayeb that has several branches, Alborz and Raftari. There is also another nice restaurant in Tehran grand Bazaar which name is " Moslem" where you can eat the most delicious Iranian food especially Tahchin. Neshat, Zeytoon, Khatun and KFC restaurants are good choices for those who interested in eating fast food. If you like to eat your food in a luxurious restaurant, we recommend you to go to Divan restaurant in Fereshteh st. and Tamasha restaurant in Milad Noor shopping center. Tehran like other cities of Iran does not have any special drink, but the city has a lot of nice cafes. For example Naderi cafe which is one of the first cafes of Tehran and it is believed that cafe-glase was introduced to people of Tehran by Naderi cafe, Gol-e Rezaieh cafe restaurant that was the meeting place of Sadegh Hedayat and Forough Farrokhzad, Masoudieh palace cafe, Lamiz coffee, Iranian artists home cafe restaurant, Cinema cafe and Azari traditional cafe which is a 140-year-old monument and registered as cultural heritage of Iran. What do we buy from Tehran? Although souvenir is a part of Iranian culture, Tehran does not have any special souvenir. Some people think that the new things that are not found in other cities of Iran are souvenirs of Tehran. The new things that persuade people from different cities to travel to Tehran can be considered as Tehran's souvenirs. Tehran grand Bazaar, Tajrish Bazaar, and Crystal Bazaar of Shoosh are the most popular and important shopping centers in Tehran. Tandis, Tirajeh, Milad Noor, Palladium, Goldis, Vanak and Diamond are also the most famous modern shopping centers in Tehran. Bahram Fire Temple, also known as Ray Fire Temple, dates back to the Sasanian Era and is located in Ray City (Shahr-e Ray). 12 kilometers South East of Ray city toward Varamin, on the high hills of Ghal'eh Noe Village, there remains the ruins of the palace or the fire temple. Dizin is the most important ski resort in Iran and Middle East. 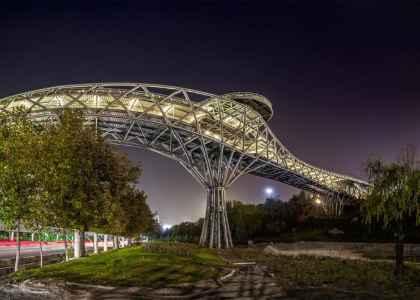 It is located in the North of Tehran.This ski resort is the first ski resort in Iran approved by the international ski federation for holding formal competitions. Tughrul Tower is located in Ray City (Shahr-e Ray) and is on the East side of Ibn Babawayh Cemetery. This tower remains from the Seljuq Dynasty. Tughrul Tower is 20 meters high. Some experts believe that it looks like the clock hands. Shibili Tower dates back to the 4th and 5th century and during the Seljuq Dynasty. This tower has the landscape of the whole town.Shibili tower had a simple octagon shape, then in the next era it got the architectural style of the Seljuq artists and had brick work done on the tower. Tehran Bazaar is an old bazaar located in the center of Tehran City. 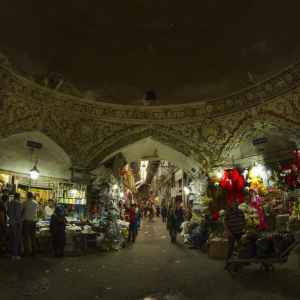 This bazaar is in Molavi Street, Mostafa Khomeini Street, 15th Khordad Street and Khayyam Street. There are two entrances of the bazaar in 15th Khordad Square and Sabze-Meydan Square. 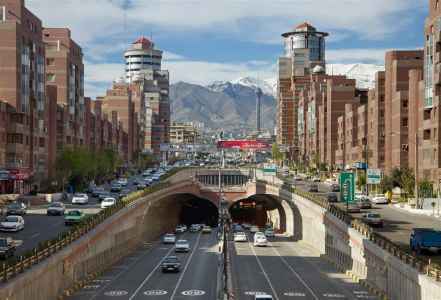 One of the main pathways to Tehran Bazaar is the Louti Saleh passage. Bibi Shahr Banu is the name of a shrine in Ray City (Shahr-e Ray). According to the available inscriptions and the belief of people, Shahr Banu is the wife of the third Imam of Shiite, Imam Hussein, and the mother of the fourth Imam of Shiite, Imam Sajjad. This valley is not very famous among tourists or even the people of Tehran. Golab Valley has a very soothing weather and clean air. People of Golab Valley are hosts to many mountain climbers throughout the week. Naqareh Khaneh Tower, also known as Yazid Tower, is located in Ray City and on Ray Mountain. Naqareh Khaneh Tower is made of bricks and is 3 meters high and was constructed about 1000 years ago. This gateway was the gate to the entrance of Mashq Square which is a military shooting range. After the gate was constructed, they made the first public garden in Tehran and named it The National Garden. Pamenar is one of the old neighborhoods in Tehran and was the first area in Tehran to have telephone connections. This park is 1450 hectares and is full of trees. There is a cycling resort from the North side of the park to the South side which is close to Karaj Highway. Azadi Tower is the symbol of Tehran and was designed and made by the order of Farah Pahlavi, the Queen of Iran of the time. Who would've taught there would be an ancient castle in Tehran, the busiest province in Iran? This castle is located in the heart of nature in a small city called Varamin and is the biggest castle in Iran. 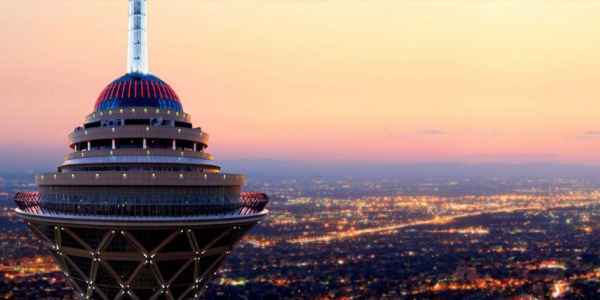 This tower is a great multipurpose skyscraper located in the North-West of Tehran, the capital of Iran. This tower is the highest tower in Iran, the fourth highest telecommunication tower and nineteenth highest tower in the world. This square is located in the West of Tehran and Azadi Tower is in the middle of this square. Azadi Tower is the symbol of Tehran. Azadi square is in the shape of an oval and cars can move on each side of the square.